The Institute for Science and Interdisciplinary Studies was founded in 1992 to analyze the influences of history, politics, economics, and culture and to incorporate this analysis into the study of science and technology. ISIS works to reconnect scientists with communities so that research is developed collaboratively to address such complex and pressing problems as environmental degradation, economic crises in agriculture and industry, providing effective health care, and toxic and nuclear waste disposal. With programs combining technical assistance, coalition-building, education, and original research and writing on the foundations of knowledge, ISIS is developing a new way of doing science that is open, self reflexive, democratic, and socially responsible. In the late 1970s, scientists and scholars concerned about the character of science and technology joined to address fundamental questions of how to develop a new, value-conscious mode of scientific inquiry. Their inquires were infromed by the revolutionary changes in thought and practice introduced by the environmental, feminist, and civil rights movements, by new academic work exploring the social, philosophical, and historical foundations of science, and by the analysis of comparative scientific traditions across different cultures. Among them was ISIS's president, Dr. Herbert Bernstein, a theoretical physicist teaching at innovative, interdisciplinary Hampshire College (with a research position at MIT), Marcus Raskin of the Institute for Policy Studies, and other scholars from a variety of disciplines. In the 1980s this group initiated a series of conferences, seminars, and publications. 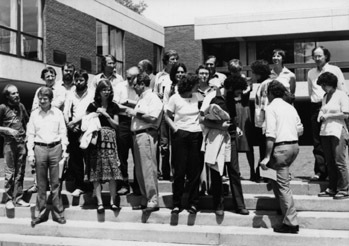 Study groups met in Stanford, Princeton, Cambridge, Washington DC, and Amherst to develop the new program; in Amherst, concerned citizens joined in the work. ISIS is a result of bringing together citizens, scientists, and scholars in various forms of outgrowth and expansion of the intial collaborations. ISIS is a permanent organization for social invention where the ideas and practices of a reconstructive, participatory science can be developed and disseminated.